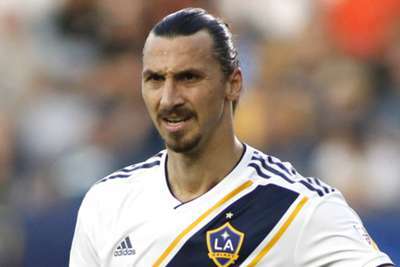 Zlatan Ibrahimovic scored as LA Galaxy boosted their MLS play-off chances, while DC United and the Portland Timbers secured their places on Sunday. Galaxy's play-off fate is in their own hands after a 3-1 win over Minnesota United at TCF Bank Stadium. Ibrahimovic headed in the opener on the half-hour mark for his 22nd goal of the MLS season. Ola Kamara and Romain Alessandrini, the latter set up by Ibrahimovic, scored early in the second half, before Angelo Rodriguez netted what proved to be a consolation goal for Minnesota. The result moved Galaxy onto 48 points in the Western Conference and while they sit seventh, they are just a point behind Real Salt Lake. RSL played their final game of the regular season on Sunday, suffering a 3-0 loss to the Portland Timbers. Larrys Mabiala, Diego Chara and Sebastian Blanco struck as the Timbers clinched their spot in the play-offs. Sunday's games left just two play-off places up for grabs – one in each conference, with Columbus Crew and Montreal Impact battling to reach the post-season in the east. Crew failed to clinch their spot after a 2-1 loss to struggling Orlando City, and Montreal's 2-0 win over Toronto left them just two points back. DC secured their play-off place after the in-form Wayne Rooney netted a brace in a 3-1 victory over New York City. Atop the Eastern Conference, Atlanta United and the New York Red Bulls broke the MLS wins record. Atlanta beat Chicago Fire 2-1 for their 21st victory of the season and that mark is matched by the Red Bulls, who edged Philadelphia Union 1-0. Sporting Kansas City are on the verge of claiming the Western Conference title after a 3-0 win over Dallas and Los Angeles FC's 2-2 draw with the Vancouver Whitecaps. Elsewhere, the Seattle Sounders continued their fine form with a 3-2 win over the Houston Dynamo and the west's bottom two – the Colorado Rapids and San Jose Earthquakes – drew 0-0.